I can't believe my daughter is going to be 8! This week her birthday is on the first day of school. We are celebrating it a little early. There are a lot of changes in our house this week. My daughter starts second grade and she turns 8 years old. 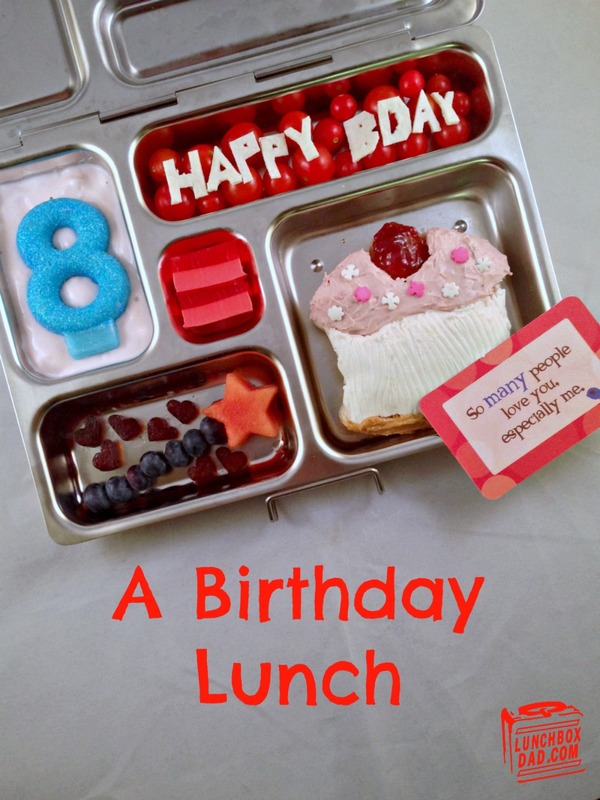 We are doing a fun outing today so I decided to make her a birthday lunch for before we leave. This is a bittersweet one as one more year older means she's closer to...being a teenager! But as parents we treasure every moment, right? I plan to this week! This looks complicated, but with the right tools it's pretty easy. I made it in a PlanetBox lunchbox and using a star shaped cutter and Lunch Punch sandwich cutters. I also included a Lunchbox Love note for fun. Remember to follow me on all my social media channels, including Pinterest. Have a great week with your kids. 1. 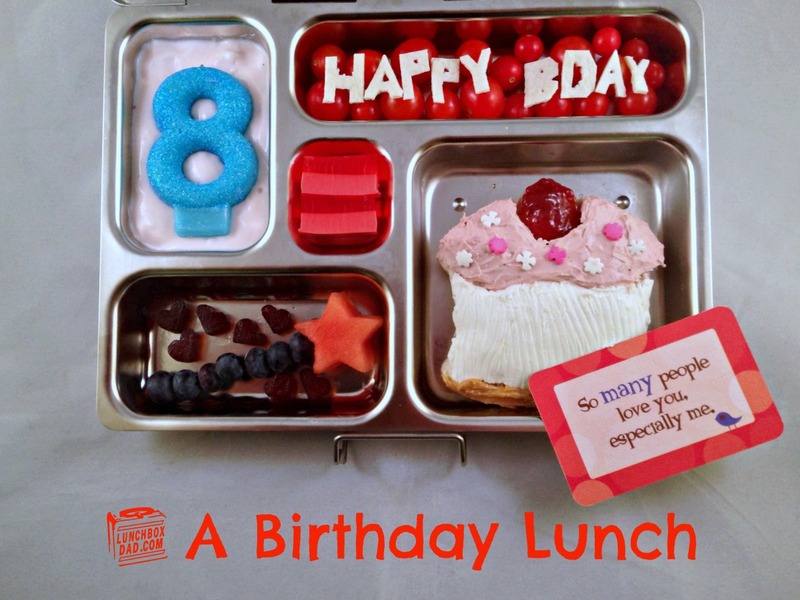 Use cupcake Lunch Punch sandwich cutter on two pieces of bread. Spread strawberry cream cheese on the top and white cream cheese for the wrapper. 2. Spread peanut butter on the slice underneath and a little bit of jam for the cherry. Drop a few sprinkles on top for a great finishing touch. 3. In side dish place grape tomatoes. Cut out the words "Happy B Day" out of white cheese or tortilla. Place on top. 4. In second side dish put yogurt and top with a number candle. Full disclosure, this particular lunch wasn't eaten at school because school hasn't started for us yet. You would probably want to use a Planetbox Dipper container for yogurt so it doesn't leak everywhere. 5. In another side dish place fruit kabob with blueberries and watermelon star on top for the wand. 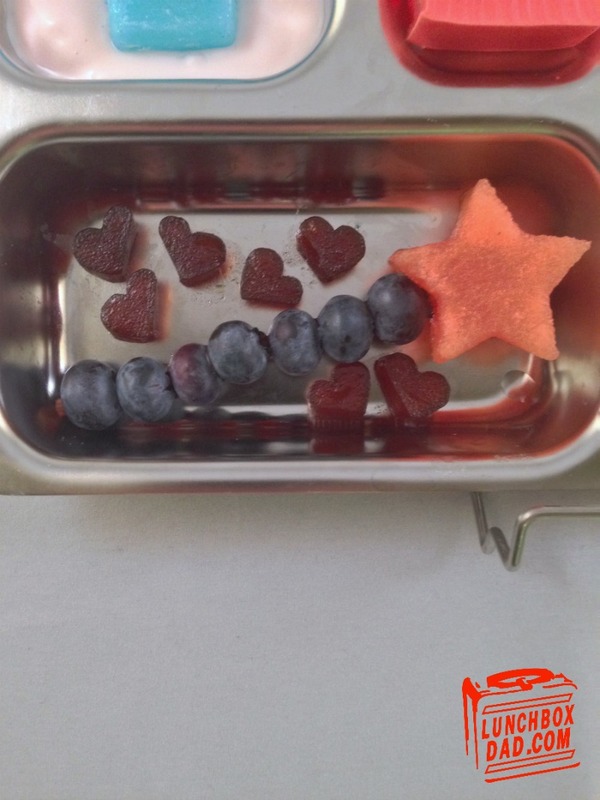 Surround with fun shaped fruit snacks if desired. 6. 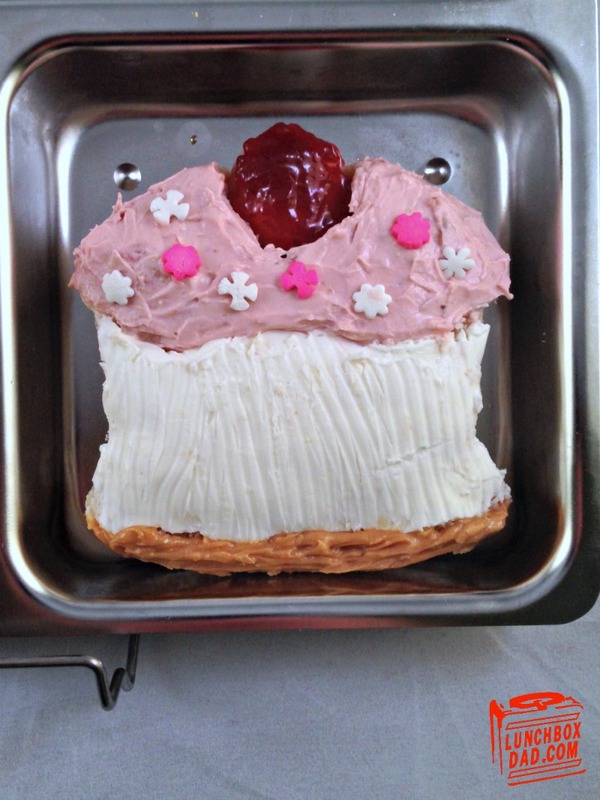 For the final touch you can place pink jello in one of the dishes if your child enjoys that.